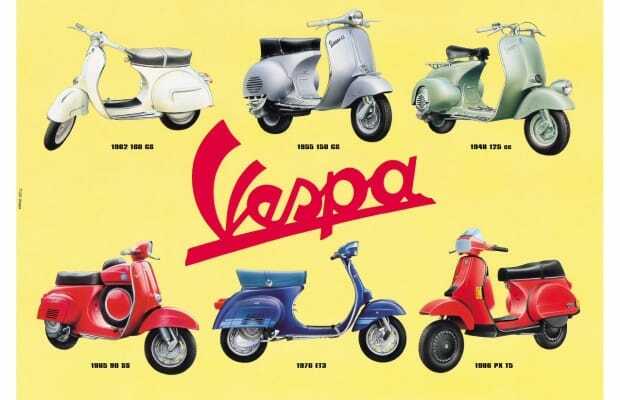 Thanks to black-and-white movies featuring suave dudes zigzagging along the Italian coast with sultry sexpots clutching them tightly—and Quadrophenia, of course—Vespas have a certain romantic appeal. But unless you&apos;re Gregory Peck and your passenger is Audrey Hepburn—and it&apos;s 1953—you will never look good riding one of those two-wheeled toys. (On the other hand, it&apos;s quite possible that we&apos;re missing something.) Join us as we entertain what we might look like on a Vespa, and how awful we&apos;d feel if anyone ever saw us.